SAPICI Research Project Awarded 2 million Euros by the EU’s Fast-Track-to-Innovation Initiative - SAPICI S.p.A. This award confirms SAPICI’s capabilities and recognised international role in the development of innovative and sustainable polyurethane-based solutions for diversified applications. CARONNO PERTUSELLA (VA, ITALY) — October 16, 2017 — SAPICI announces that the European Research Project “Eco-friendly food packaging with enhanced barrier properties ― BIOCOMPLACK” they submitted as Group Coordinator within the Fast Track to Innovation initiative under the EU's Research and Innovation Programme “Horizon 2020” has been recognised by the European Union for its innovation, sustainability and potential value. The Research Project has been granted 2 million Euros funds. By leveraging its recognised, competencies, experience and international leading role in the development, production and commercialisation of laminating adhesives for plastic films, SAPICI has been able to activate close cooperations with expert international partners, and propose the innovative idea of using the barrier properties of nanocellular microcrystals to biodegradable films, opening the way to environmentally sustainable flexible packaging. SAPICI coordinates the joint efforts in this Project of the Università degli Studi di Milano (www.unimi.it, IT), Natureplast SAS (www.natureplast.eu, FR), Goglio North Europe B.V (www.goglio.it, NL), and Tecnopackaging SL (www.tecnopackaging.com, ES) — which together cover the supply chain of the food packaging industry. The announced result of this European Research Project is an eco-friendly bio-based (from renewable and non-fossil resources), biodegradable and compostable plastic for both flexible and rigid food packaging. The innovative and sustainable solution the Project is expected to finalise is made with a multilayer PLA structure reinforced with organoclays which provide natural preservatives to the food, and cellulose nanocrystals to achieve excellent barrier properties to both oxygen and water vapour. Immediate benefits of this active solution include enhanced barrier properties able to protect the natural qualities and extend the shelf life of products by 3 times compared with traditional technologies, reduced food waste and lowered/no impact on the global environment thanks to the simplified and value-added use as organic compost of both packaging remains and plastic bags. The Project will also positively impact the entire value chain by decreasing the need of cold storage room for food stocks. “We keep working hard on the development of innovative and sustainable polyurethane-based solutions, respecting the environment while sustaining our clients’ success in their industries and markets. 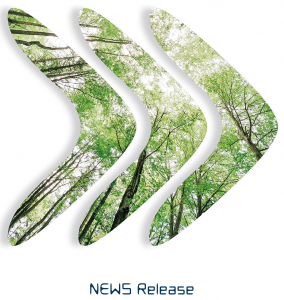 This award represents a vividly appreciated confirmation of both our Company’s continued commitment to eco-friendly R&D and our ability to identify and mark new green industrial paths”, commented Cristian Furiosi, CEO of SAPICI. “Working with such international excellent partners has proved to be paramount, and I would like to recognise their untapped competencies, skills and dedication to this Project,” Furiosi added. 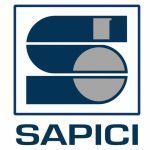 “SAPICI has a tradition of over 80 years of measured results in eco-friendly innovation, now enriched by this prestigious acknowledgment which gives each and every employee in our Company additional energy and motivation to continue focusing on the development, production and commercialisation of sustainable PU-based specialty chemicals”, added Sasha Martinelli, President of SAPICI. The Fast Track to Innovation (FTI) pilot was launched by the European Commision in 2015. The pilot provides funding for bottom-up proposals for close-to-market innovation activities in any area of technology or application. This thematic openness — combined with the possibility for all kinds of innovation actors to work together and deliver innovation onto the market and/or into society — is aimed at nurturing trans-disciplinary and cross-sectorial cooperation. The objective is to reduce time from idea to market, stimulate the participation of first-time applicants to EU research and innovation funding, and increase private sector investment in research and innovation. Actions funded under the pilot are to be ‘business-driven’ because they are intended to give promising innovation ideas the last push before entering the market. Therefore, substantial industry involvement in FTI actions is mandatory to ensure quick (within a three-year period after the start of the FTI-action) market take-up. EU funding levels are fixed at 70% of the eligible costs. Data from EASME — the Executive Agency for SMEs — show that out of 403 proposals received, only 15 were selected for funding, recording an average success rate of 3.7 per cent. More information at: https://ec.europa.eu/easme/en/tags/horizon-2020-fast-track-innovation.